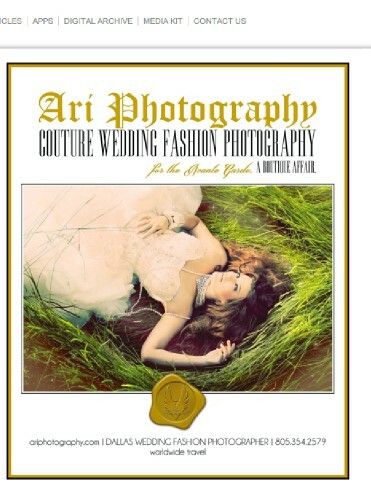 It has been quite a busy week for Ari Photography. I have met in Southlake and Westlake two times this week to pick up and deliver Holiday cards for the Michael Lohner (Stella and Dot) family. I am coming to really LOVE this family so much! I cant wait until they "release" their holiday card for all to see and I can post it! Ya'll are going to see what a truly unique family this really is! Wednesday I had a wonderful meeting with the Fantastic Julian Leaver. He is the Event Planner for the most esquisite Hotel/venue and shopping center (Due to Stanley Korshak) in the Dallas Texas Area. The venue is called The Rosewood Crescent. We had a wonderful lunch overlooking the city through the crescent window and later he gave me a tour of the ballrooms et. Incredible and Regal!We are both determined to get me in to shooting events and weddings at The Crescent in Dallas Texas as well as the Rosewood Mansion on Turtle Creek in Dallas. Julian is such a wonderful and caring man. And eating at the Crescent Club was quite an experience! As I was leaving the center of the Crescent being the Stanley Korshak headquarters I came across Modern Luxury magazine and there in the magazine was my ad as well as an article on Julian! So much fun to see people and companies so close to me being published in such a public way! Then yesterday I met up with Clint, owner of Fistcloud Videography, http://fistcloud.com/. Clint is an incredibly talented man about my age (Ok fine, younger:) who I was able to find through some research in the Dallas Fort Worth Area! I tracked him down in hopes that his company would shoot our Modern Luxury spread "Behind the scenes" shoot. Modern Luxury will be blasting the video to all the social networks. Honestly i think it s a genious move, finally people will be able to see first hand what an INCREDIBLE company Modern Luxury Really is! (Though Im sure people probably already know it, but do they know how sweet the gals are that work there? Hmmm..Now they will thanks to Clint! I also met up with Ashley and Meridith from ML. This being their shoot and all! We picked a back drop at Park Place Motorsports garage that is SO up my alley! The spread will be a conceptual shoot incorporating Stanley Korshak designs head up by the fabulous Bret, Park Place Motorsports, 12 influentialmodels in the DFW area, myself Ari Photography, Makeup by Lauren Katz,http://lauren-labarba.com/ videoed by FistClud videography as I mentioned earlier and the whole concept brought together by Modern Luxury Fashion Magazine of Dallas. Really all the details of this shoot just go on and on. I am loving this Dallas Experience and am feeling so blessed to be tossed in the mix of these most amazing and talented wedding planners, event planners, designers, Makeup artisits and successful magazine publishers! 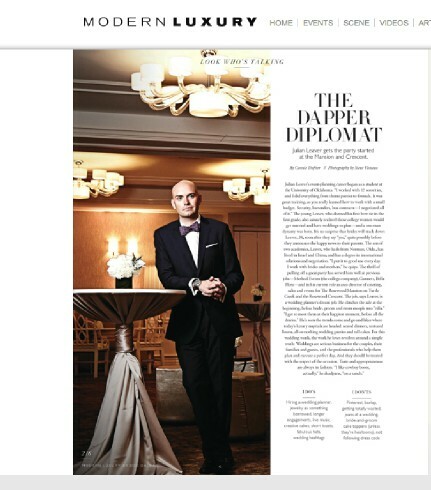 (AKA Modern Luxury Dallas Brides Magazine). Below is the link to this seasons online Dallas Brides magazine. I encourage you to stroll through the magazine and see the differnt types of incredible wedding vendor talent we have in the area!